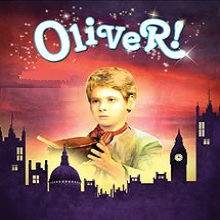 Oliver Twist, the name given by a workhouse warden to a boy born in the workhouse orphanage, who has never felt loved or accepted, manages to escape from the harsh workhouse. Managing his way to London, Oliver feels accepted for the first time in his life, is welcomed into a group of other young boys, headed by the Artful Dodger, who "makes wallets" under the direction of Fagin. What Oliver is initially unaware of is that they are really a band of pickpockets, One of Fagin's associates is Bill Sikes, whose girlfriend, Nancy, is devoted to him. Oliver looks to Nancy as his one true friend, especially needed when he discovers what Fagin and the boys actually do. The songs Food Glorious Food and Consider Yourself (one of the family) bring instant joy, smiles and delight to the faces of the young and the young at heart. This is a fund raising event presented by the Williamsburg Players. It is not part of the regular WP season and requires a separate admission ticket.